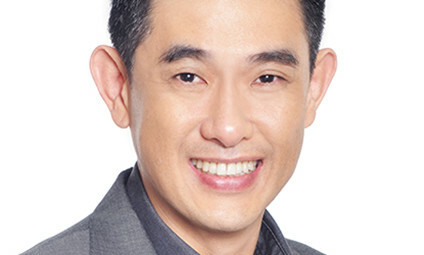 comScore has appointed Jonah Ken Tan as vice president, Southeast Asia, effective immediately. He replaces Kerry Brown who has moved on to Eyeota as vice president of research and offline products. He will be based in Singapore, reporting to Joe Nguyen, comScore senior vice president, Asia Pacific. Tan will also lead comScore’s business in Indonesia, Malaysia, the Philippines, Singapore, Thailand and Vietnam. This announcement follows news of comScore being selected as the online audience measurement partner in Indonesia and reappointed as the official Internet audience measurement currency in Malaysia. Tan joined comScore in 2014 as solutions director, Asia Pacific, leading pre-sales consultancy and partner development for comScore’s advertising product suite across 13 markets in the region. Prior to comScore, he was director of digital sales at Singtel, where he managed digital sales teams to run its online store and telesales business in the consumer division. In addition, he spent a large part of his career developing strategic alliances and managing channel partners in the region for corporations such as Paypal and Cisco. He also built reseller networks for companies such as Friendster and Yahoo to grow their digital advertising businesses in Southeast Asia. “We are very pleased to appoint Tan in this role to drive new momentum in the fast-growing Southeast Asia markets. He has been instrumental in effectively delivering comScore’s advertising solutions to clients across the region,” Nguyen said. “I would like to thank Kerry Brown for her four years leading our Southeast Asia business. Her passion, innovation and strong industry knowledge have been key in the company’s continued growth and success in the region, including the appointments of comScore as the online audience measurement standard in Malaysia and Indonesia, as well as the launch of comScore Mobile Metrix and comScore MMX Multi-Platform in various markets. We wish her well in her future endeavours,” Nguyen added. “There is so much potential in the Southeast Asia region and I am eager to uncover more opportunities of growth and development for comScore. I am confident that together with the team, we can continue to enhance the company’s position in the markets, and deliver superior value for our clients, partners and the industry,” Tan said. Here's how Desperados got away creating branded graffiti-style artwork on the walls of the National Gallery, National Stadium and ..
Singapore Airlines' budget airline Scoot has swapped creative agencies, dropping boutique agency Sparkfury and its digital arm Tan..